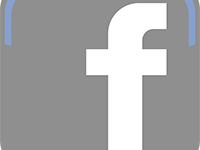 After much anticipation, select 2014 project locations have been announced on our `upcoming projects` page. 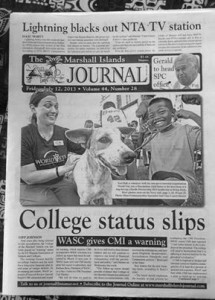 All projects listed here will have volunteer opportunities for veterinarians, veterinary technicians, students and assistants. Read more about volunteer descriptions here. As dates are finalized for these opportunities they will be posted accordingly. World Vets members will also be given the chance to register early for Spring 2014 volunteer opportunities shortly. On our recent visit to Otavalo, Ecuador, a World Vets team provided a large scale spay/neuter campaign with local partners, PAE – Ibarra. 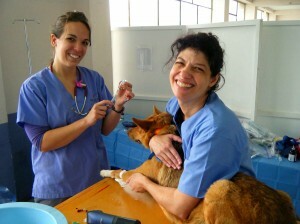 We were also joined by a few veterinarians from PAE -Quito who aided our team during the three day campaign. 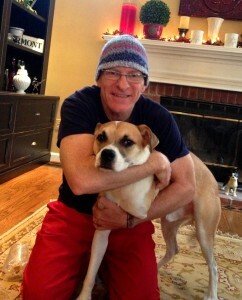 Together our efforts resulted in a record breaking number of surgeries being performed: 268 spay/neuter surgeries. IVM Program sessions have been scheduled for Winter 2013. Dates have now been posted on the Upcoming Projects page. 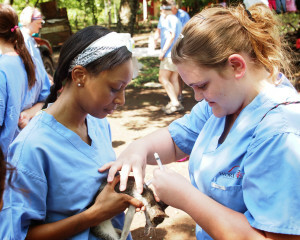 World Vets members will have the opportunity to register early for student positions. Following this, registration will open on World Vets website for general sign up. Please note that the full program fee amount will be due at the time of registration. DVM & LVT/RVT Instructors are also needed for this program. To qualify for an instructor position, you must either be a licensed veterinarian and/or technician and have a minimum of one year clinical experience. Previous teaching experience is not a prerequisite. This is a volunteer opportunity with limited expenses for you. MAJURO, Marshall Islands (July 4, 2013) Tori Hall, a volunteer with the non-governmental organization World Vets, lets a Marshallese child listen to the heartbeat of a dog during a Pacific Partnership 2013 health fair. Pacific Partnership is a mission that brings host nation governments, U.S. military, partner nation militaries and non-governmental organization volunteers together to conduct disaster-preparedness projects and build relationships in the Indo-Asia-Pacific region to better respond during a crisis.World Vets has provided veterinary personnel for this mission since 2009. 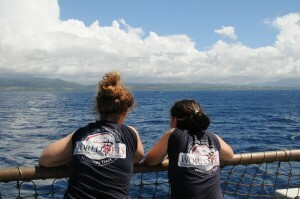 A World Vets team has just returned after a great adventure to the Atlantic Coast of Guatemala. 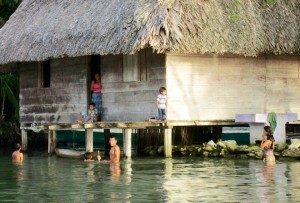 Following 7 hours of travel, in a van and boat ride from the capital, they arrived in the Livingston/Rio Dulce region. 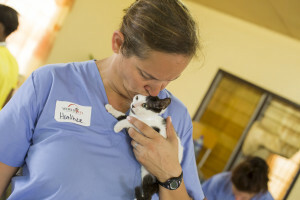 During their visit they provided free veterinary services, a luxury for local cats and dogs, as local services for animals are hard to come by in such an isolated area. 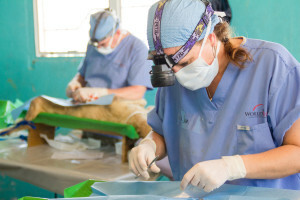 Many communities are only accessible by boat making veterinary care a great challenge. 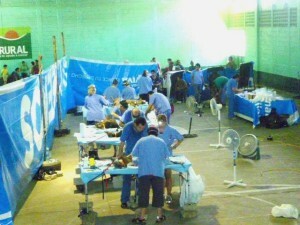 Our team provided a large scale sterilization campaign where 164 surgeries were performed as well as an additional 200 plus health consultations and treatments provided to local animals. We also saw patients at the dock of our accommodations during the evening along the river. In these activities, we were joined by local volunteers and veterinary students from Universidad de San Carlos de Guatemala. We would like to extend our many thanks and gratitude to our team members and local coordinator, Aska, of El Hotelito Perdido. We would also like to thank CATUR, the local Centro de Salud and municipality of Livingston for all their support in helping make this campaign possible. And finally we would like to thank local businesses and the community of Livingston for their warm welcome and hospitality. 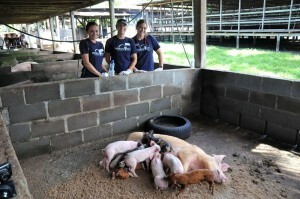 See pictures of World Vets visit to Rio Dulce, Guatemala – coming soon! 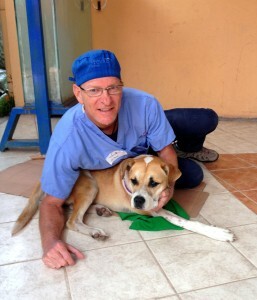 There is just 1 VETERINARIAN spot left open for our July 2013 Otavalo, Ecuador Project. 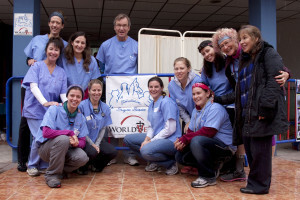 Join us on a trip to the Ecuadorian Andes July 17 – 24, 2013 and provide a three day large scale sterilization campaign in the town of Otavalo! 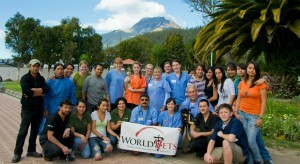 World Vets has been providing regular high volume spay/neuter services in Ecuador since 2009. We have also secured an agreement with the municipality of Otavalo stipulating that they will not carry out poisoning campaigns in exchange for our free spay/neuter services for community animals.